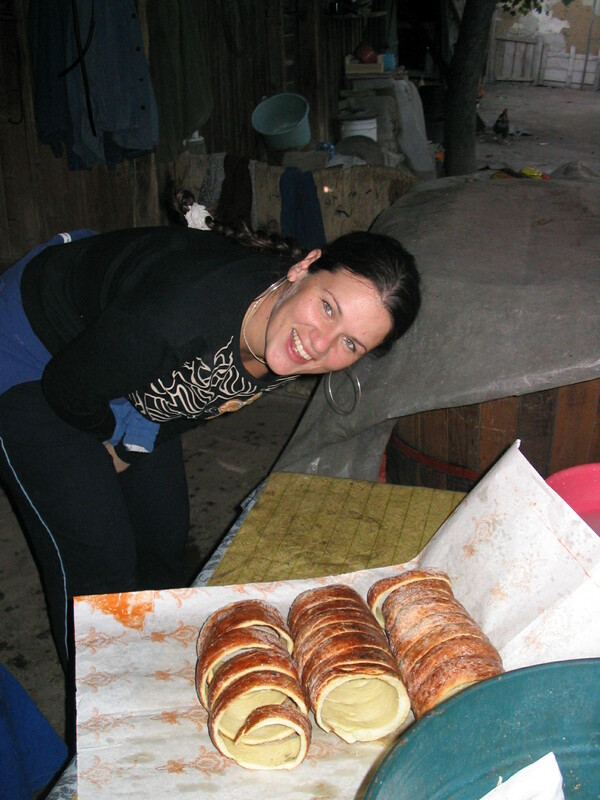 My Unique Hungarian-Transylvanian Bequest: Kürtőskalács also known as Chimney Cake | When Judit bakes...bread and better..
Chimney Cake, Horn Cake, Hungarian Twister, Cozonac Secuiescust all refer to the unique twisted pastry, that is a delicious sweet, tubular, yeast raised dough made entirely from natural ingredients, originally called Kürtőskalács. The uncooked pastry is wrapped like a ribbon around a specially carved wooden cylinder, then rolled in a sugar-based topping such as cinnamon, walnut, chocolate or coconut, and finally baked above hot coals to create a soft, fluffy cake inside a crispy, sticky glazed crust. Whilst baking above the fire in the outdoor kitchen, the sugar melts and caramelizes, and the “flavour” (nuts or spices) sticks to the cake. The outdoor, or so called”summer kitchens” were located next to the outer wall of the kitchen of the house, where the wood fired ovens had an extension. These kitchens were roofed but otherwise open, and their oven area (the outer side of the indoor oven) had a small, purposely built coal-baking section, where the traditional treat was made. 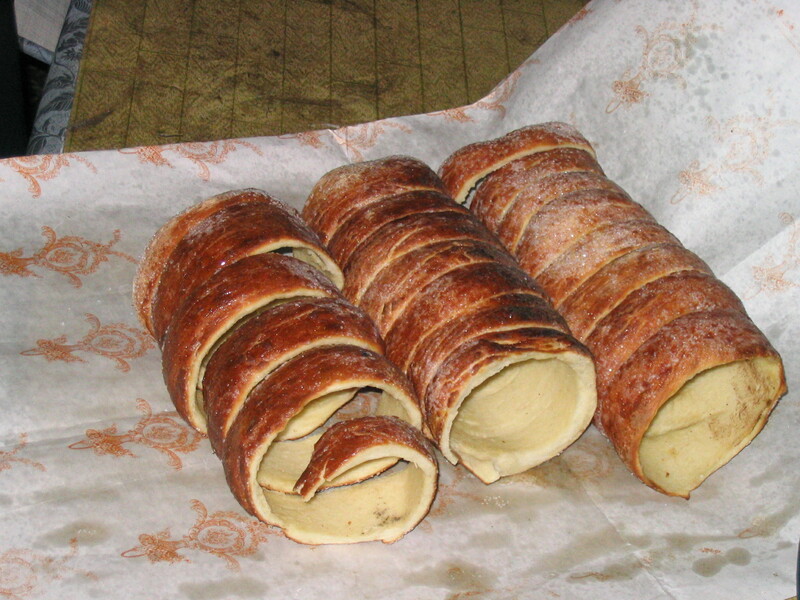 It is believed that Kürtőskalács was first made in Covasna County of the Transylvania Region, by Hungarian settlers. 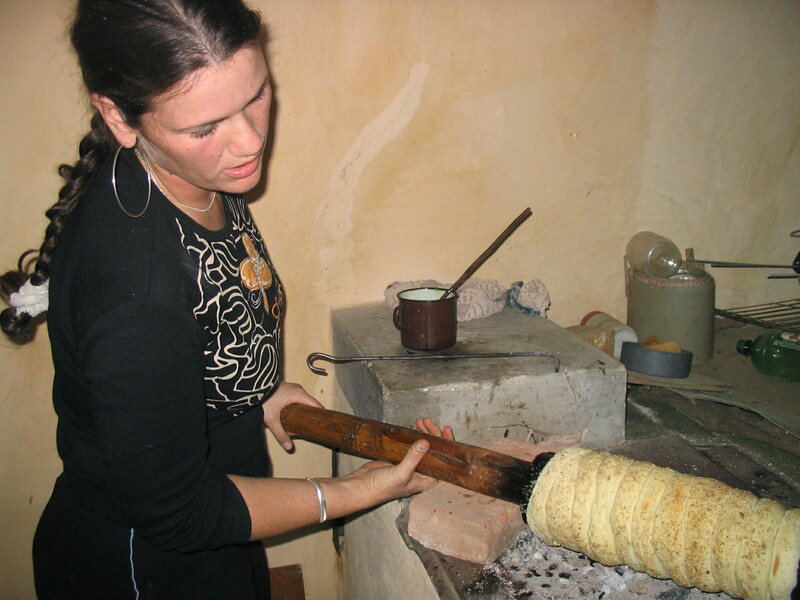 Its name is related to its shape, originating from the Hungarian word “kürtő” which means chimney or stovepipe. 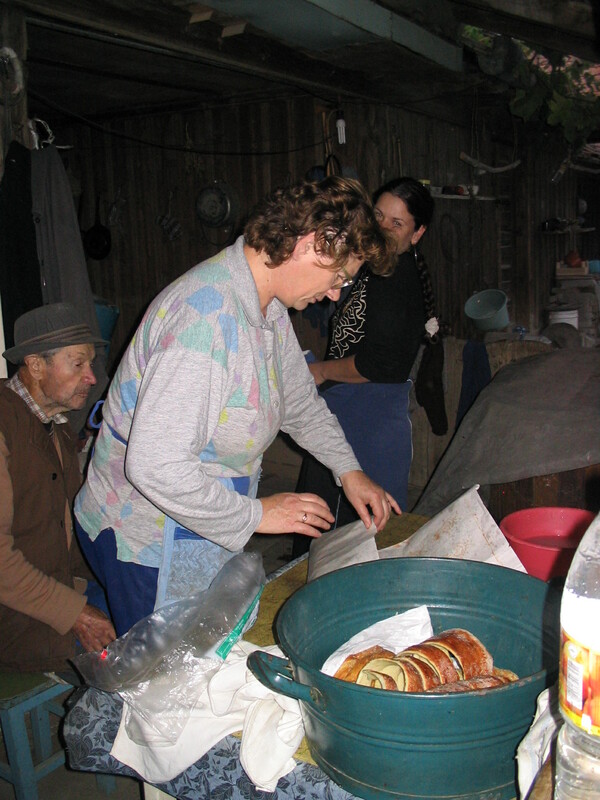 “Kalacs” simply stands for sweet bread in Hungarian language. 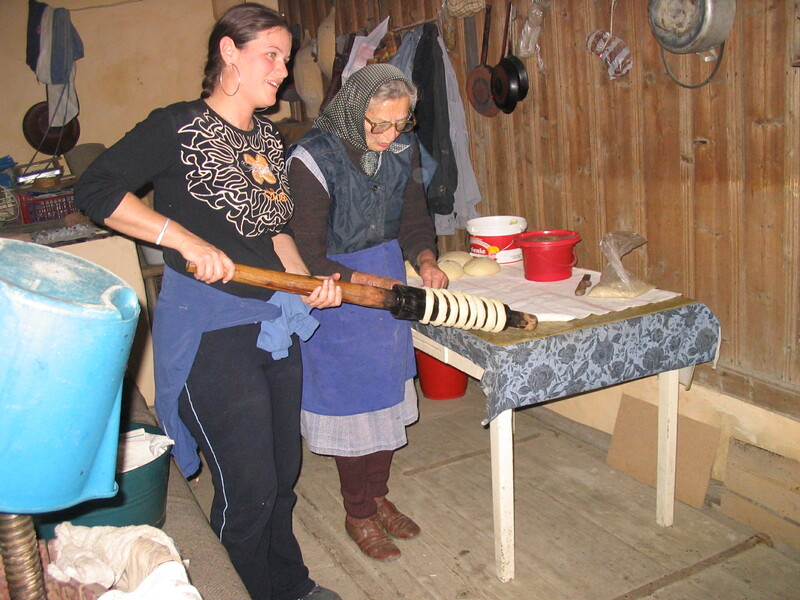 The recipe is one of the best kept secrets of these parts of Europe, handed down to younger generations by mothers and grandmothers. 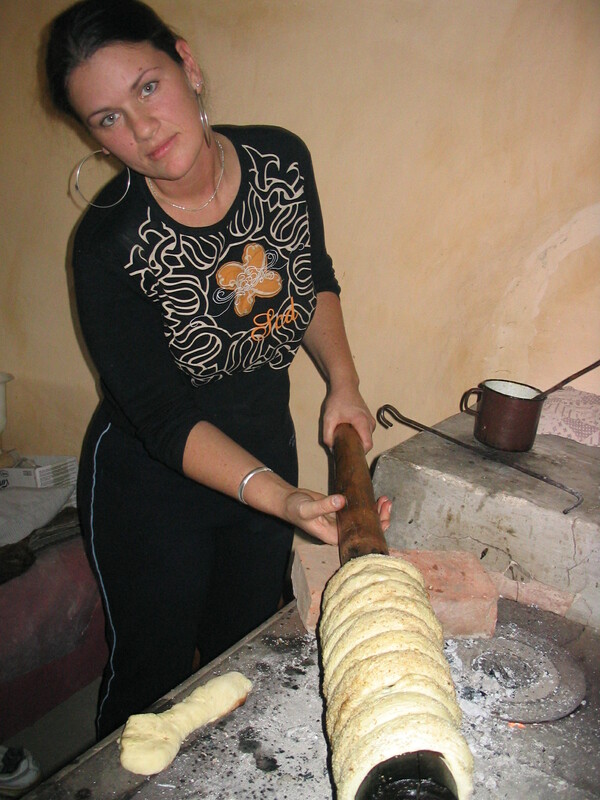 The ingredients are prepared early in the morning by the skillful makers. 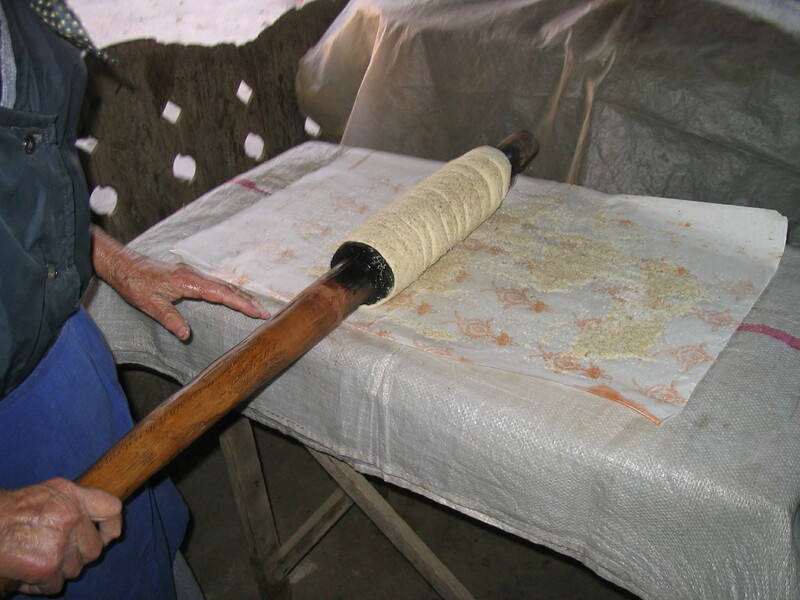 With its previous fermenting process, making it can take a long time, however, the actual baking is only a few minutes long. This pastry, like many of my other recipes, is not just about baking or eating, rather it is telling a story of home, love, traditions, family, history and secret knowledge, marking authentically how I am surrounded by bakers and baking. I was taught how to home-make and home-bake this amazing, unique treat by my mother-in-law and grandmother-in-law, two truly talented, knowledgeable and natural bakers. Somewhat ten years ago whilst visiting my husband’s family, I kept asking my parents-in-law to set up a time for seeing grandma and make plans for baking. When there was only one day left from our holiday, I was told that “There is always another time…”, but as the statement was followed by my childish, spoilt-princess tantrum, they gave in. On that memorable day I sat at my grandparents-in-law’s old, rural wooden table in their outdoor kitchen area, with eyes and ears opened wide, notebook and pen in my hands, ready to hear the secret revealed. 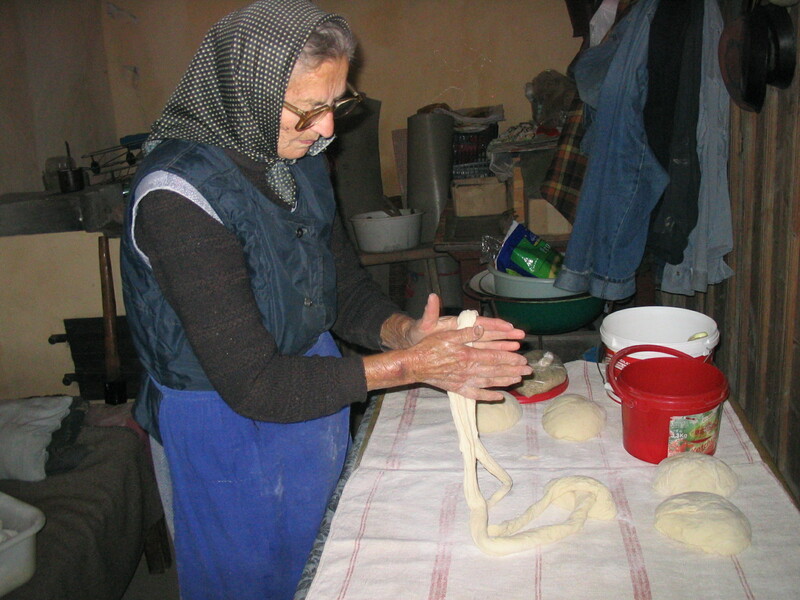 My grandmother-in-law, Grandma Kati, gave me her recipe from memory, telling me about her advice whilst working, seasoned with love-filled tales about when housewives would make the large amount of bread and sometimes would ask the strong man of the household to knead it for them. She told me how she just added the flour until it looked right instead of measuring. 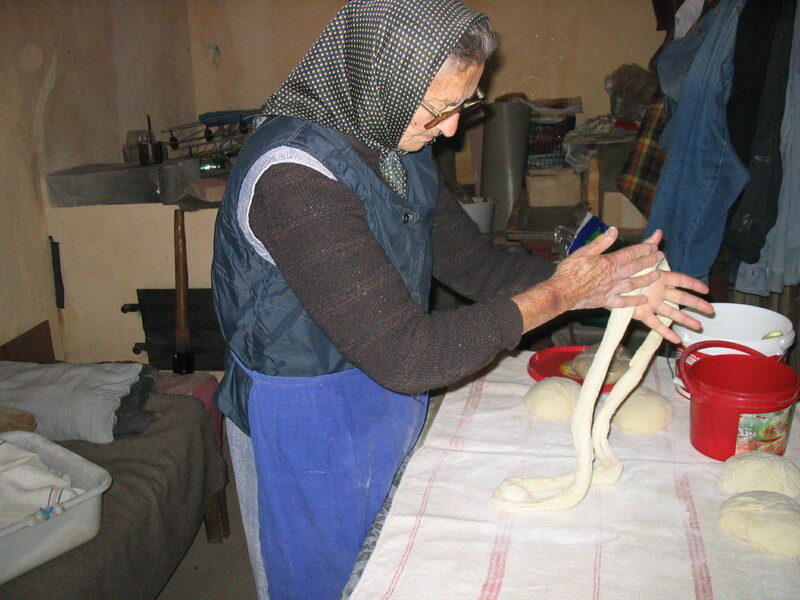 I could see how her true, deep love for life and respect for ingredients changed the consistency of the dough coming through her experienced hands. She helped me through each step and loved me for wanting to know. Very sadly, two days after our baking day, she passed away. 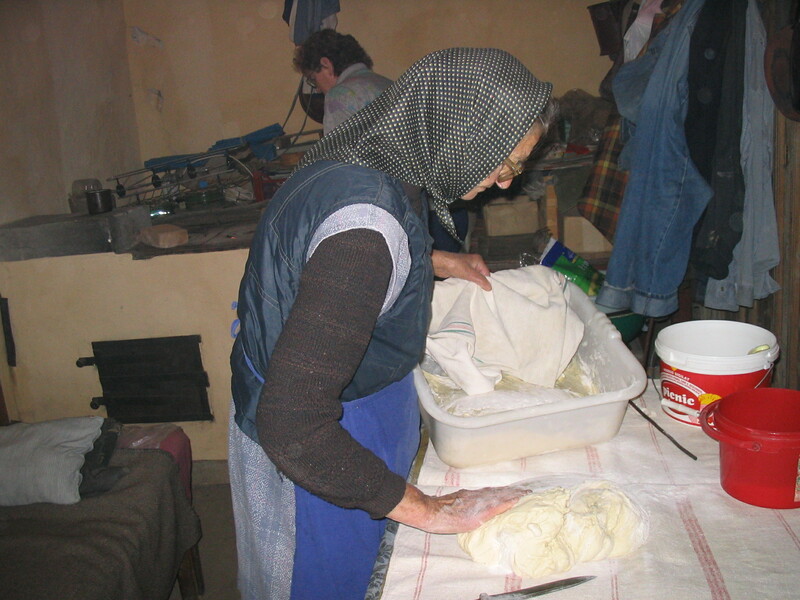 There just was not another time…but today I am left with the remembrance, her recipe, her wooden mold, her love and legacy. Heat 100 ml milk until lukewarm and pour it over yeast mixed with 1 tablespoon sugar. Let it stand until yeast comes to the surface and becomes foamy on top. Add flour, rest of the sugar, eggs, egg yolks, salt and knead a dough, pouring small portions of lukewarm milk into it. When the dough leaves the side of the bowl, knead melted butter in it. Set dough aside to rest for an hour. 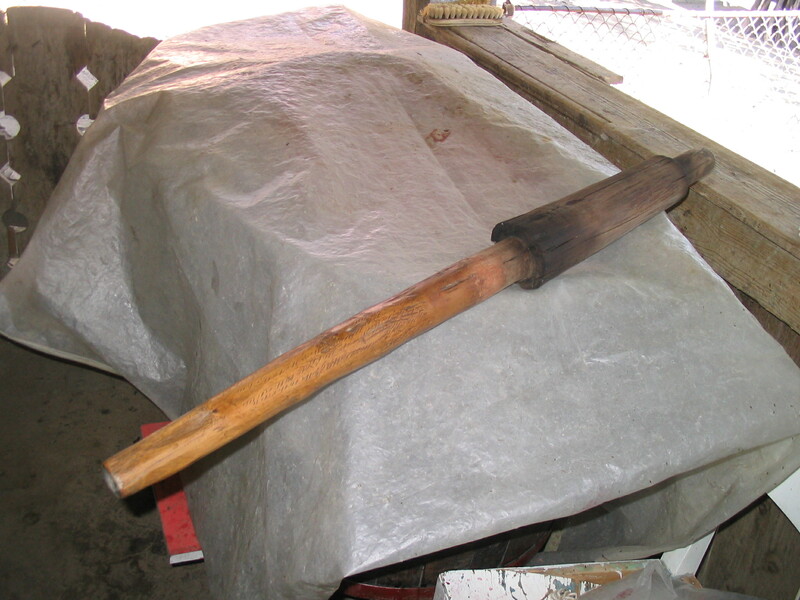 Prepare the wooden mold for baking: cover with melted duck fat and heat it up above coal. (Alternatively cover heat-proof tubes with aluminium foil and oil). 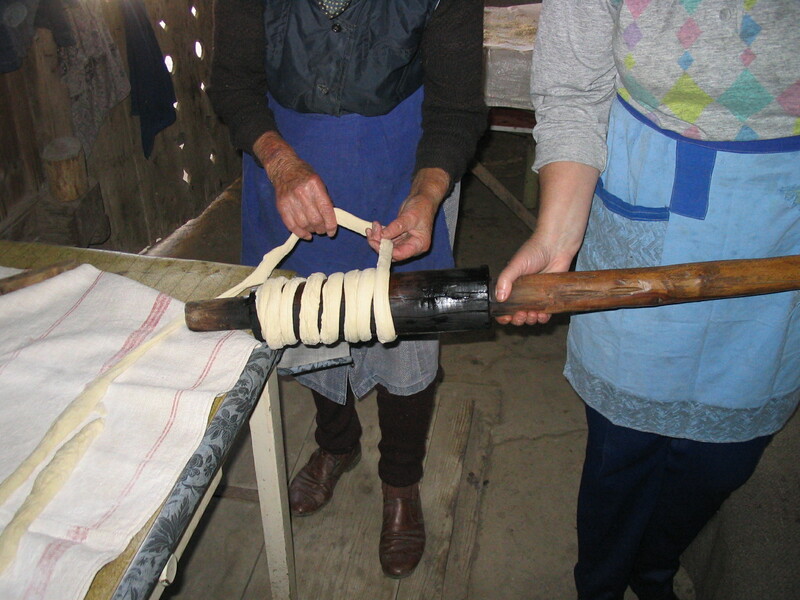 Roll out dough about 0,5 – 0,7 cm thick rectangle and slice about 2 cm wide strips. 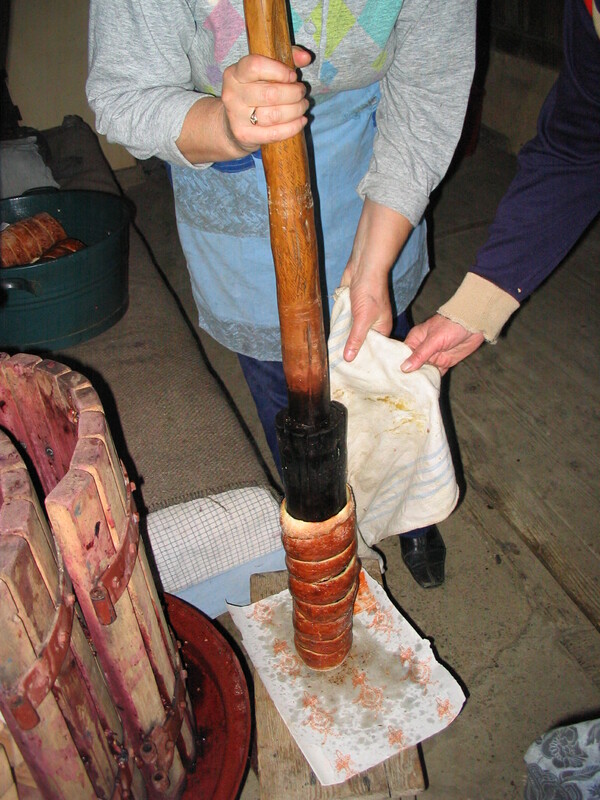 Roll slices up on the wooden mold or oiled rolls and brush with water. Roll it in cinnamon sugar or walnut sugar. 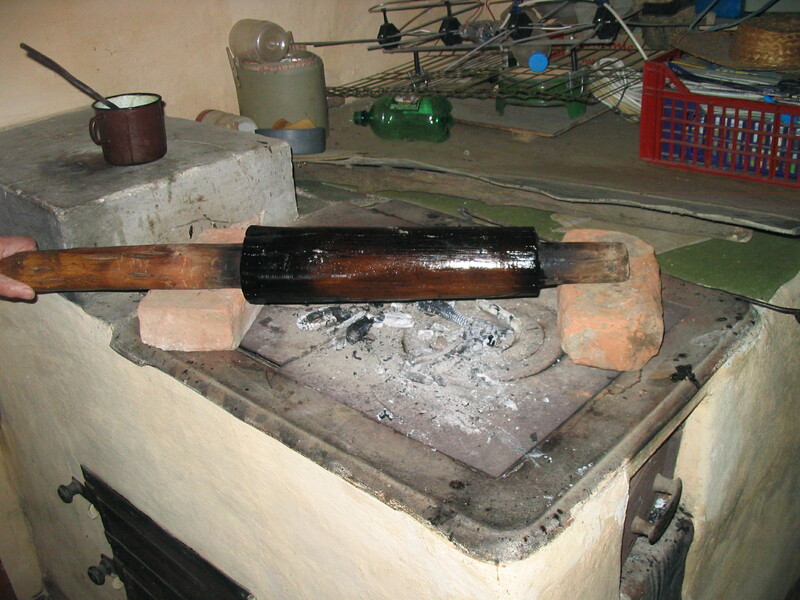 Bake above hot coal or for 15-20 minutes on 180°C in the oven. My mother-in-law indeed reminds me of my strict, yet gorgeous and warm-hearted grandmother-in-law. They both had/have kitchen where one always can find something good going on. Mothers and grandmothers like them are truly precious gems. They have an ever-full treasury of answers, ideas, solutions and a few secret recipes for making life turn out always just on the right way, just in the right time. This entry was posted in Baked treats, Bread, Cakes, Flavoured breads, Just Everything, Special flours and flavours, Sweet Bakes, Sweet bread, Treats for Life, Yeasted bread. Bookmark the permalink. I’ve had these baked in an electric oven, and loved them. I’m sure when made on coals they are ten times as good. What a great experience and photos! Thanks for sharing! Wow, what a great (and touching) story! That’s so nice that you got to have that experience with mother- and grandmother-in-law. We always think there’s plenty of time to learn from our elderly relatives (not just baking tips, but family history and so much more! ), and this is a great reminder to take advantage when the opportunities come along.